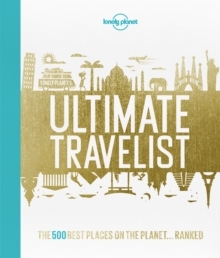 Lonely Planet, the world's leading travel guide publisher, brings you the world...ranked. What will be number 1, you ask? We have the answer. This compilation of the 500 most unmissable sights and attractions in the world has been ranked by Lonely Planet's global community of travel experts, so big name mega-sights such as the Eiffel Tower and the Taj Mahal battle it out with lesser-known hidden gems for a prized place in the top 10, making this the only bucket list you'll ever need. This definitive wish list of the best places to visit on earth is packed with insightful write-ups and inspiring photography to get you motivated to start ticking off your travel list. What's your number 1? Authors: Lonely Planet About Lonely Planet: Since 1973, Lonely Planet has become the world's leading travel media company with guidebooks to every destination, an award-winning website, mobile and digital travel products, and a dedicated traveller community.